GRAPELAND – A one-vehicle wreck at approximately 4:30 p.m. on Monday, April 23 briefly closed FM 228, approximately 1.5 miles east of Grapeland. 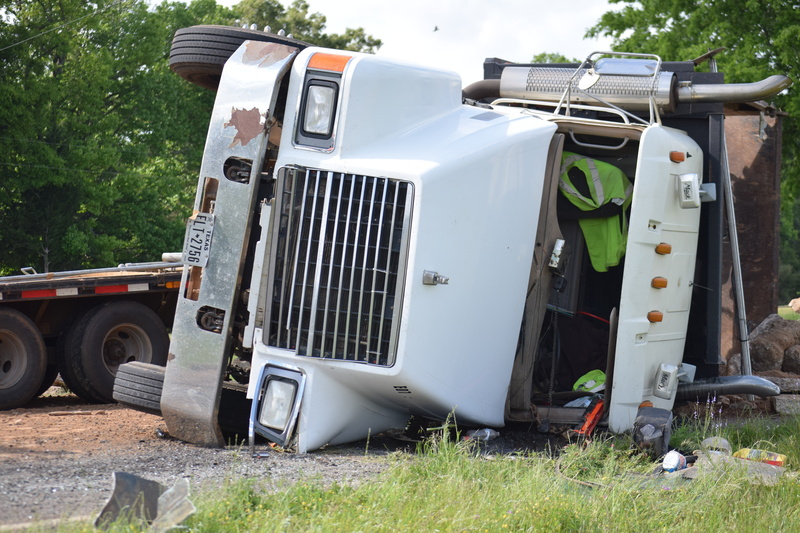 The vehicle, a dump truck hauling a flat-bed trailer, flipped on its side as it rounded a curve just west of CR 1855. Witnesses at the scene reported the driver of the vehicle had passed another vehicle and then overcorrected to get back in the proper lane. The driver of the dump truck suffered minor injuries and was treated at the scene. The crash is under investigation by the Texas Department of Public Safety.